807 East Main St. in Abingdon, VA at the intersection of Main St. and the Hillman Hwy. 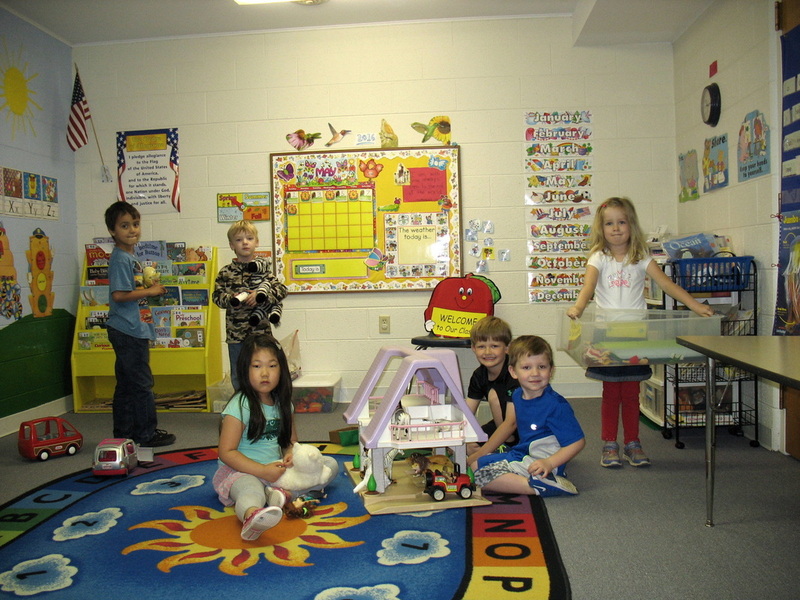 It is the mission of the St. John Preschool to provide a Christian atmosphere where children are loved and respected. The preschool is an extension of the ministry of the congregation, presenting a holistic approach which encourages children to develop in a positive environment to their fullest potential. · To provide a safe, happy, Christian environment in which the children can grow physically, socially, mentally, emotionally, and spiritually. · To accept each child as an individual and provide opportunities for self-expression, investigation, and participation in group activities. · To allow each child the opportunity to grow and develop at his or her own pace, always encouraged and guided by caring adults. · To provide the opportunity for church, home, and school to work together in meeting the needs of the children and their parents. · To provide an atmosphere where children are encouraged to develop personal responsibility, mutual cooperation with their peers, respect for authority and a positive self-esteem. Classes for: 3-5 years old· 2 days per week Tuition $115/month. · 3 days per week Tuition $150/month. · 4 days per week Tuition $170/month. · 5 days per week Tuition $195/month. All classes are 9:00am – 1:00pm.